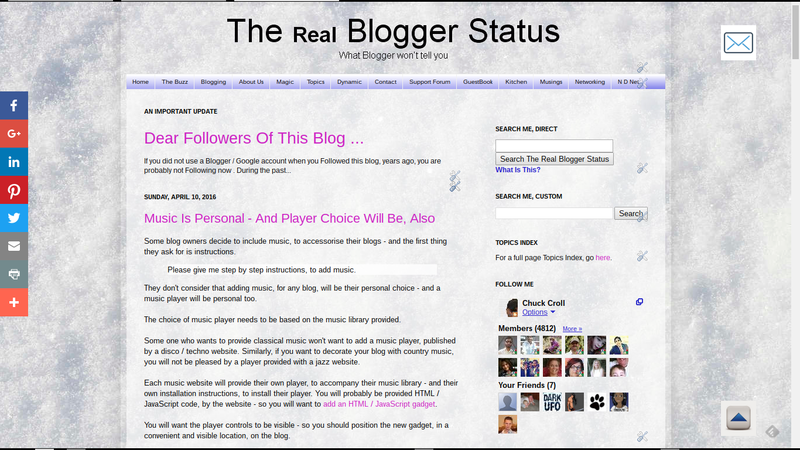 Some blog owners decide to include music, to accessorise their blogs - and the first thing they ask for is instructions. Please give me step by step instructions, to add music. They don't consider that adding music, for any blog, will be their personal choice - and a music player will be personal too. The choice of music player needs to be based on the music library provided. You will probably want your music choice to match the blog content. Some one who wants to provide classical music won't want to add a music player, published by a disco / techno website. Similarly, if you want to decorate your blog with country music, you will not be pleased by a player provided with a jazz website. Position the player so it is convenient and visible, to your readers. You will want the player controls to be visible - so you should position the new gadget, in a convenient and visible location, on the blog. The one suggestion, that is consistently provided, is that you should choose a player that lets your readers choose whether to listen to the music. Please, don't use any player that only provides "autoplay". 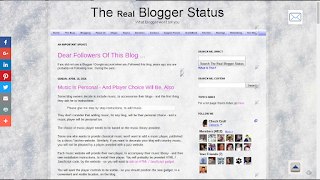 The choice of music will be yours - and some readers will choose to view your blog. But some will choose to not listen to your music - and unless you want to limit reader population to those who can listen as they view, you will want to make the music optional. Some #Blogger blog owners want to decorate their blogs with music - and they request detailed instructions for adding a music player. Music players are individual to the website providing the music - and the smart blog owner will choose the website, for one offering an appropriate music library.